Didn’t care for last year’s touchscreen BlackBerry with the slide-out keypad? Not interested in an all-touch, no keypad BlackBerry? Well then, how about a new touchscreen model with a souped-up engine but the classic BlackBerry keypad? That’s the idea behind the new BlackBerry Bold, the first touchscreen BlackBerry with—finally—the old-school screen-and-keypad design. First announced earlier this year and billed as the thinnest BlackBerry ever (just 10.5mm thick, to be exact), the new Bold will land on AT&T and other carriers later this month, BlackBerry maker Research in Motion said Wednesday. No word on pricing just yet. Besides a speedy new processor, the revamped Bold comes with a five-megapixel camera and HD video recording, not to mention a razor-sharp 2.8-inch touchscreen—a first for a BlackBerry with a standard, thumb-friendly keypad. Make no mistake, though: the arrival of the familiar-looking Bold doesn’t mean that there won’t be anymore all-touch, keypad-less BlackBerrys. 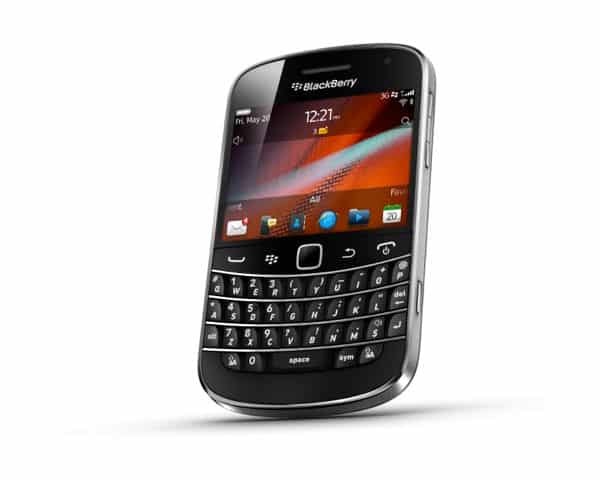 Also coming soon is the BlackBerry Torch 9850, a BlackBerry with a roomy 3.7-inch touchscreen but minus a physical QWERTY keypad, while the Torch 9810 will boast a 3.2-inch touch display along with a slide-out keypad. All three of the new BlackBerry models will come loaded with a new version of the BlackBerry operating system. What’s new in BlackBerry OS 7? Think features like “significantly faster” and “more fluid” web browsing, promises RIM, along with voice-enabled search, the mobile Documents-to-Go office suite, and “BlackBerry Balance,” which divides your phone into separate zones for work and play. So, here’s my question: Will the new Bold—or any of the new BlackBerry models—keep (or entice you back) to the BlackBerry family? Or have you moved on to the iPhone, Android, or another of the flashier smartphone platforms? A $200 “BlackBerry facial”—say what?